(*1970) is data scientist and researcher. 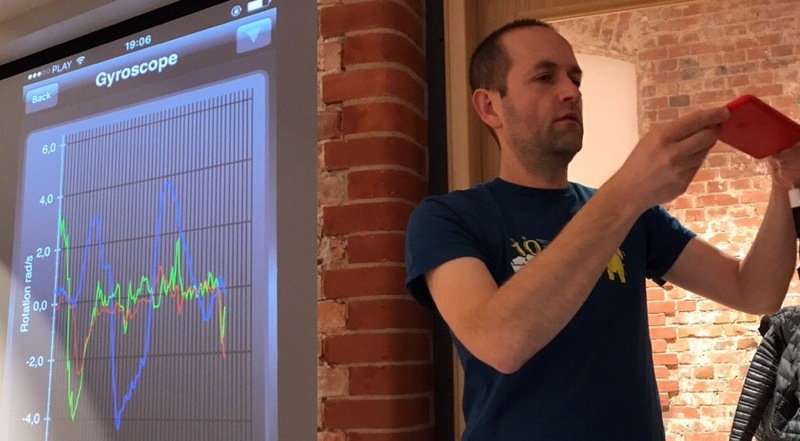 He founded the companies Datarella based in Munich, Germany, and Baltic Data Science in Gdansk, Poland. Datarella develops data-driven products and applications based on the the blockchain, BDS delivers data-science-as-a-service. Before that, Joerg had worked for media companies and publishers in Europe and the US. After graduating in statistics and political sciences with a thesis on artificial intelligence, he had worked in behavioral sciences, focused on nonverbal communications research. As political activist and researcher, Joerg works on research in data ethics, future democratic participation, and open source IoT. Joerg is adjunct professor at NYU and teaches courses on data science and the blockchain at various universities. 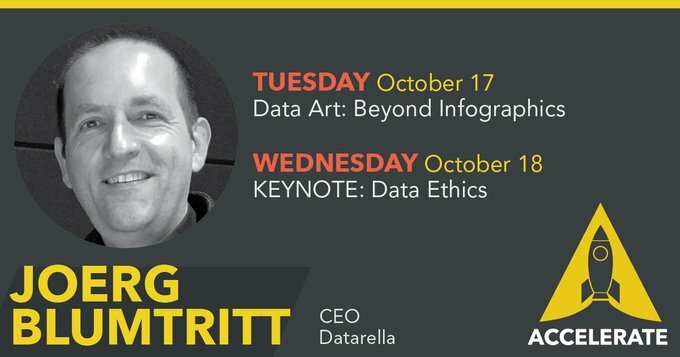 He co-authored the Slow Media Manifesto and blogs about media at slow-media.net, about data at beautifuldata.net and http://tyuya.com. ”The U.N.’s Powerful New Way to Aid Refugees” by Corin Faife. When it comes to data visualizations, we usually think of infographics. 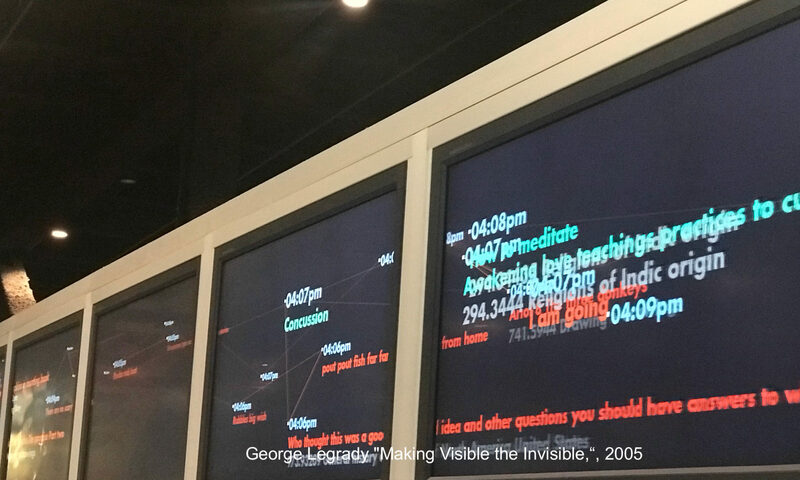 But besides data as storytelling, journalism, and dashboards, data has grown into a medium for expression for a large spectrum of creative output. Contemporary artists are still struggling to find the language for a new contemporary output and practice in the post-Internet genre. Artistic expression within the digital arts has brought forward critical examination of technology and its impact on society, such as surveillance and self-determination, and has often collaged quotations of all aspects of media and consumerism, questioning art market concepts like authorship and intellectual property rights, in mediums ranging from video, software, and websites to hardware, kinetic machines, and robotics. Parametric or generative art is being created from algorithms without direct human intervention. Come to my session at tdwi Conference Munich, Wednesday June 27th, 0900h. Süddeutsche Zeitung, SZ-Scala, Innvoation Journey 2018 at Automatica. The most exciting work we have done so far at Datarella was to build and set up a blockchain-based payment system for the United Nations’ World Food Programme (as described earlier here: Blockchain-based accounting and payment system ). Now the UN is upping the stakes: “We felt we could replace the services offered by banks with blockchain.” so WFP director Robert Opp. This quote is directly connected with the Buildingblocks system that we developed for the world’s largest help organization. The numbers are far exceeding what even we blockchain enthusiasts would have thought to be possible: 98% reduction in transaction costs and big increase in transparency by facilitating easy auditing. Read more about our work in this nice article on Bloomberg. Thinking of fan experiences and services in a new way. Testing and applying innovative and new technologies within and outside the stadium. Bringing the emotional connection of our club to life even more through technology and digital infrastructure. Learning from each other and creating new things together. 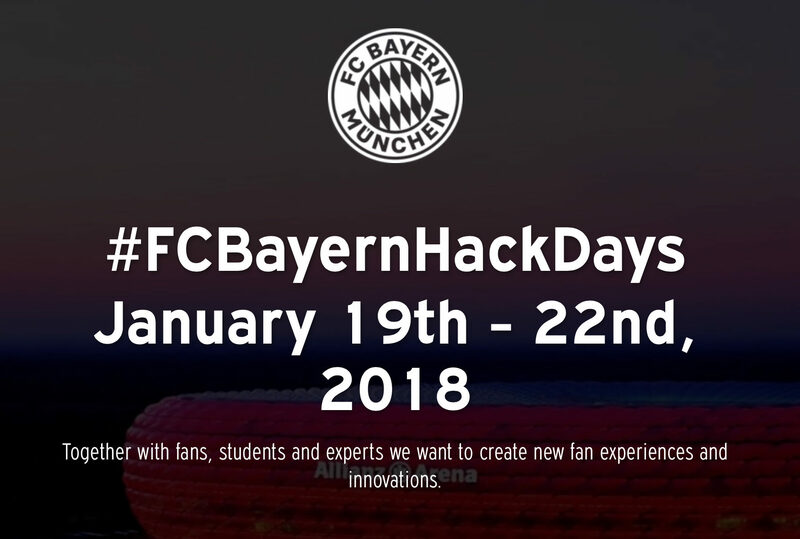 For the first time, FC Bayern Munich will host, together with its fans, partners, leading experts, start-ups and students from all over the world, the #FCBayernHackDays to learn together, face new challenges and to research new innovative possibilities. 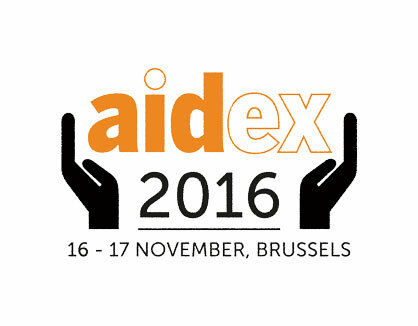 Does increased access to information and technology influence aid and development effectiveness, and how? What are existing and expected relevant technological developments and what opportunities do these present? What does this mean for the sector (e.g.ways of working and requirements in terms of skills, resources, programming etc)? I will talk about our blockchain-based solution to distribute aid we built for the United Nations’ World Food Programme. We are generating data literally wherever we go and whatever we do—and not only about all our digital and mobile actions, like searches, purchases, preferences, and interests. In the Internet of Things, we leave behind a broad trace of all kinds of data that is often far more telling than results of classic social, psychological, or medical research, and we can hardly prevent this data from being accidentally collected, while passing by a WiFi router, for instance. Since a multitude of dimensions are tracked, the resulting profiles are so unique that they can no longer be anonymized. Persisting images of ourselves are created that we cannot control. 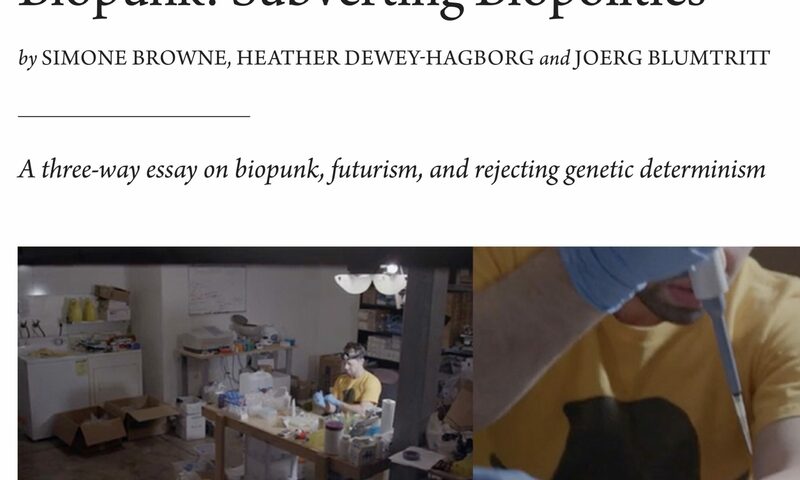 However, most people do not want to refuse the comfort and opportunities of our data-driven economy (benefits include online shopping, distributed energy production, and precision medicine, to name a few). Data sharing can create huge economic and social value. For example, compared to the average samples of a few hundred participants, real data could support medical research in an unprecedented way. Thus data sharing should be made attractive, but in order to do so, people must have confidence that their goodwill is not turned against them. The first level in implementing data ethics is about shaping applications. Privacy by design is already a well-established concept, but it must be extended to data ethics by design, incorporating built-in prevention of potential discrimination, misclassification, and assaultive abuse. The design follows the simple patterns of data courtesy—being kind with people and avoiding presumptions. Such design can also be cast into law. In Europe, health insurance companies are legally prevented from using gender to determine pricing; likewise, it is illegal to include data from social media profiles to calculate credit risks. Second, and even more important, we must be empowered to make use of our data ourselves. We should own our data and decide about its proliferation and use. Data should be as open as possible and shared as simply as possible. Collecting data has to be done in a fair way. Of course, no one can care about their data explicitly all the time. Thus, we need algorithmic agents to deal with this task on our behalf. Third, we need to work even harder to maintain a just and liberal democratic system that offers legal remedies to everyone and enforces good conduct. Malign political leadership on digital steroids might be much worse than those in predigital times. At the same time, big data promises nothing less than a smart society with distributed, noncentralized infrastructure that could offer much more freedom to people. Even more than our data-driven economy, we should actively shape our data-driven public.